Grimas Mastix Remover, Mehron AdMed, and Snazaroo Spirit Gum can only be purchased if you live in the UK. We cannot send overseas due to shipping regulations. 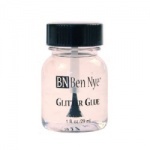 Please note: that Kryvaline glittery gem adhesives are designed to build gem clusters.